We take the responsibilities of a Telecare provider very seriously. We maintain the highest possible standards in delivering Telecare services before, during and after they have been established in the user's home. We replace any faulty alarms and Telecare pendants within 24 hours to ensure that no one is left alone without the care they need. 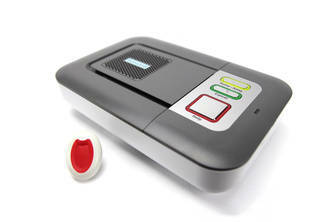 Telecare Choice make a special effort to ensure that our lifesaving Telecare service can be accessed by all who need it. Our service is provided across the whole of the UK so that anyone can obtain the reassurance that Telecare brings. We also make sure our plans are affordable enough even for those on a low income or tight budget. Time is a critical factor in everything we do. We know that getting Telecare in place quickly is important - that’s why we can have a Telecare alarm set up and ready to use within 24 hours. Quick response is vital in emergency situations - that’s why our exceptional alarm call response times have enabled our monitoring centre to achieve an Accreditation with the Telecare Services Association. Telecare Choice strives to be the leading Telecare provider in the UK. It has been consistently proven that Telecare has a great impact on the lives of the elderly, people with disabilities and people with long term medical conditions. We believe that Telecare providers should be affordable and available to all and that the service delivered should be of the highest possible standard. Telecare Choice strive to be the leading Telecare provider in the UK. It has been consistently proven that Telecare has a great impact on the lives of the elderly, people with disabilities and people with long term medical conditions.